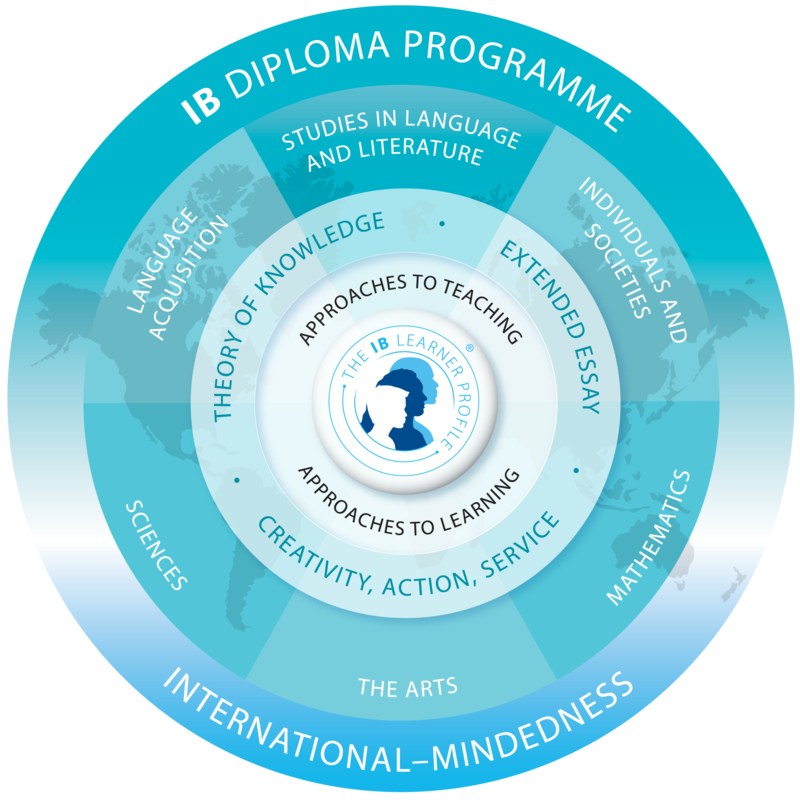 The IB Diploma Program is designed as an academically challenging and balanced program of education with final examinations that prepares students for success at the university and life beyond. It has been designed to address the intellectual, social, emotional and physical well-being of students. The program, has gained recognition and respect from the world's leading universities. IB Diploma Program students study six courses, one subject from each of groups 1 to 5. The sixth subject may be an arts subject from group 6, or the student may choose another course from groups 1 to 5. Taking courses across all five subject groups ensures breadth of experience in languages, social studies, experimental sciences and mathematics. Students can take a minimum of 3 but maximum of 4 higher level courses (240 teaching hours; 2 year courses), and a minimum of 2 but a maximum of 3 standard level courses (150 teaching hours; 1 year courses). Students are only allowed two standard level exams their junior year; all other exams must be in their senior year. Extended Essay - a self-directed 4000 word research paper on a topic of the student's choice and interest. Theory of Knowledge Course - The most unique course to the diploma program! Teaches students to think critically, ask the big questions and find out how we know what we know. Creativity, Action, Service (CAS) - The CAS component raises students' awareness of community needs and builds confidence in their ability to bring about change. Students must choose Spanish in 9th grade as their second language for all four years. Students are encouraged to enroll in Advanced Biology, Geometry, Advanced English 9, AP Art History in 9th grade and Advanced English 10, AP World History, Algebra 2 in 10th grade. The IB Diploma Program students take written exams in May at the end of each course. All students in a higher level course will have exams in May of their senior year. These exams are marked by the student's teacher and then moderated by external IB examiners. Students are awarded marks (scores) for each course based on their performance on both external exams in May and the internal exams given throughout the length of the course. The marks range from 1 (lowest) to 7 (highest). Students can also earn up to three additional points from their Theory of Knowledge course and their Extended Essay. The IB Diploma is awarded to students who score at least 24 points on their combined course marks across all six courses, TOK, and Extended Essay. When completing high school registration forms for 9th or 10th grades, students will complete an application and turn it in to Mr. Garrison.